Ken Ota's experience in the martial arts ranges over fifty years. First with Judo and then for the past thirty years with practicing and teaching Aikido. Ota Sensei's first Aikido teacher was Isao Takahashi Sensei and he later practiced under Koichi Tohei Sensei. He has taught Judo and Aikido at the University of California Santa Barbara and hosted five womens judo camps on that campus. Sensei has had well over 50,000 students pass through the Goleta Dojo over the years and from time to time old students drop in to watch and train. He has taught at UCSB, Cal Poly, The Montecito YMCA, and of course the Ota Cultural School that he and his wife, Miye, own. Sensei Ota is recognized as one of the most effective teachers of Aikido. His Aikido Training Videos by Panther Productions are used by law enforcement and military agencies, as well as individual students both here in the U.S. and abroad. Sensei Ota has been recognized by and holds an honorable spot in the USA Martial Arts Hall of Fame. His dojo is the only Aikido dojo in California to hold such a prestigious position. Ota Sensei emphasizes the art of Falling (Ukemi) with graceful, yet powerful defense techniques. Many of his students have advanced to high ranking black belts, including Steven Ota (6th degree) and William Buckner (5th degree). Miye Ota was raised in Guadalupe, California. The Otas were avid partner-dancers involved with various social dance circles within the Santa Barbara County. Following their mastery of square dancing, they began ballroom dance training at the local Arthur Murray Dance Studio. As they progressed in their dance training they sought out higher levels of instruction, which involved commuting to Los Angeles for lessons from a new group of English instructors teaching International Style. 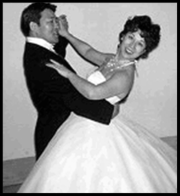 Alex Moore certified both Ken and Miye in the International Style of ballroom dance. Ken went on to be the first man in the U.S. to get the highest Arthur Murray student credentials, Triple Gold Star and Gold Bar. The Otas were also certified through the Imperial Society of Teachers of Dancing (ISTD). It was not until chaperoning a school dance for their son, Steve Ota, did they feel compelled to start teaching dance lessons to children; they believed children could learn more tasteful ways of dancing with each other. Having achieved their competitive goals, they founded a junior cotillion, where they could teach their son and his friends lessons in dance, manners, and other social graces.